My skin isn't the only thing that is super dry during winter; my nails also need help! I've found that using this cuticle cream really keeps my cuticles from being atrociously dry. I rub it into my cuticles when I get into bed, or whenever I think about it during the day. It's lemon-scented and nourishes brittle nails, too. My other favorite nail-care product is this vitamin E nail oil . It also softens cuticles, but massaging the oil into your nails stimulates new nail growth. After years of being a nail-biter, my nails just don't seem to want to grow very fast, so I really need this! What do you use to keep your nails healthy? i need to get that cuticle cream, and almost have a few times. i have very brittle nails and need to fix them. I love Bert's bees products! Oh I definitely need to try this! My poor nails are so brittle and so sad looking. 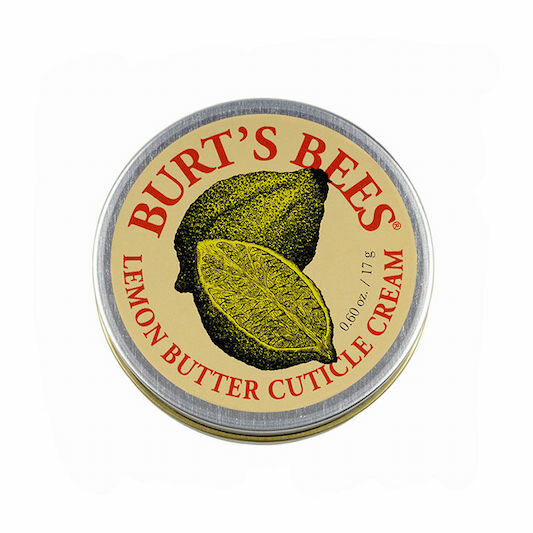 I love Burt's Lemon Butter for cuticles. I even use it on my lips sometimes (in a pinch). That lemony smell is heavenly! I have the same cuticle cream, I just can't ever remember to put it on :) I haven't ever tried the vitamin oil, but I definitely should! Totally can relate with the nail biting. I also keep polish on my nails and I have been going a year now without biting and they are getting stronger! Ah such good tips...I seriously don't do enough for my nails! I've got to try this out. Over the Christmas break I got a manicure with my sister and got the shelac stuff....my nails have been horrible ever since. My nails look terribly desperate, so thanks for the recommendations! Great tips! I got this "Nivea Nail Creme" in a blog swap for nail polish, and I love it. Even M uses it since he gets dry skin around his nails. It also helps moisturize my actual nails too. I'll have to try these products out. I hope YOU have a FANTASTIC Thursday! I am doing zero to keep them from getting try. Need to give them some TLC asap! i was looking at my nails the other day and wondering what the heck was going on. I guess i didn't even realize there was a winter nail care regimen. DEFINITELY hoping on this bandwagon so thank you so much for bringing to my attention!